A handful of game-related terms get thrown around the edtech sphere. Two big ones are gamification and game-based learning, or GBL, just check out their hashtags on Twitter: #GBL and #Gamification. What exactly is the difference between gamification and GBL? Many confuse the terms, but one is not the other. It’s an innocent mistake, one that I have made, too. To my uninitiated mind, “gamification” was a pithy explanation, and I wondered why the term had never come up in previous conversations with the Legends team. It turns out, gamification isn’t what we do. Teachers deploy their own learning materials that they’ve created—think worksheets, quizzes, and videos—as different destination points within a “Quest.” Students work through these materials to advance through the Quests at their own pace. As they complete their work, they travel across a map, from one end of an island to another. This is a fun way to visualize progress, and it uses the principles of an adventure game to capture students’ interest while they learn. That’s gamification. The learning itself is done through traditional classroom assignments, not a game. That would be a different story. Unlike the traditional classroom assignments that persist in a gamified classroom, GBL is exactly what it sounds like: using games to introduce, enforce, or enrich learning concepts. The idea is that learning through gameplay can be more engaging than more traditional methods like lectures, textbooks, and worksheets. When students are more engaged, their brains are more capable of absorbing new information. This makes for better subject matter retention, leading to higher test scores, as demonstrated by research. In his essay “Good Video Games and Good Learning,” Dr. Gee explains that students playing a game “can perform before they are competent, supported by the design of the game, the ‘smart tools’ the game offers.” This differs from more traditional learning methods, which often require students to read a text and become competent before they can start trying to perform tasks related to the new knowledge. For many students, these methods are far less effective than the “learn by doing” approach that GBL allows. Engagement is the ticket to effective learning. Keeping that in mind, let’s look at how gamification and GBL are similar, and why so many people tend to think they’re interchangeable. GBL and gamification are guided by the same overarching principle: morphing a traditional classroom task into a more engaging, competitive activity. Take for example the Interactions in Ecosystems learning objective on our site. It is home to ten mini-games, ranging in length from 5-25 minutes. Each game interweaves specific science concepts — in this case, how ecosystems work, as delineated by the NGSS — into the gameplay. 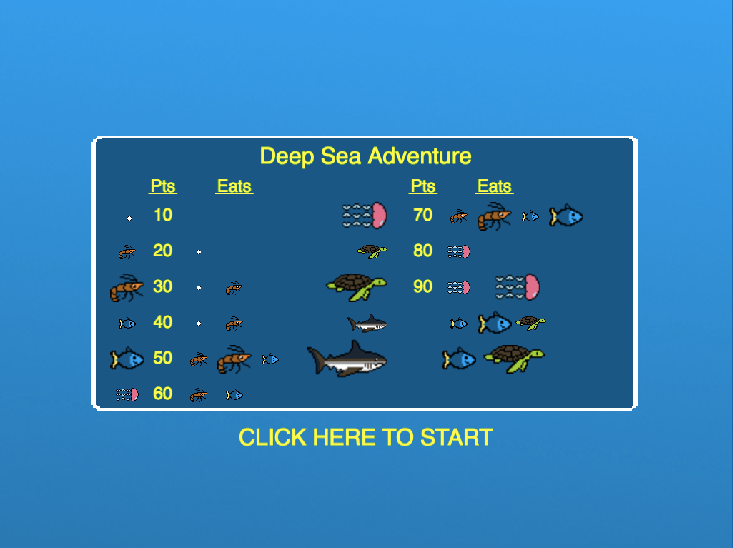 In “Deep Sea Adventure,” you start out as a tiny shrimp, eating plankton and avoiding predators, ultimately growing into a fish, a jellyfish, a turtle, and a shark. In “EcoKingdoms: Interactions,” your role is park manager, making decisions to balance the flora, fauna, and finances that are crucial to the park’s operation. Other GBL experiences feature competition amongst students. They compete with one another and motivate each other to perform at a higher level in the game. Some learning games even have leaderboards so students can compete against players all over the world. Have you ever tried to get small children to help clean up their toys after making a mess? One effective strategy is to say “I bet I can clean up more toys than you… ready, go!” Nine times out of ten, the child will go whizzing around their bedroom trying to beat you in the new “clean-up game” you just created. That is gamification at work. Competition is a motivator, and can make any task — whether cleaning the playroom or learning science — a lot more fun. 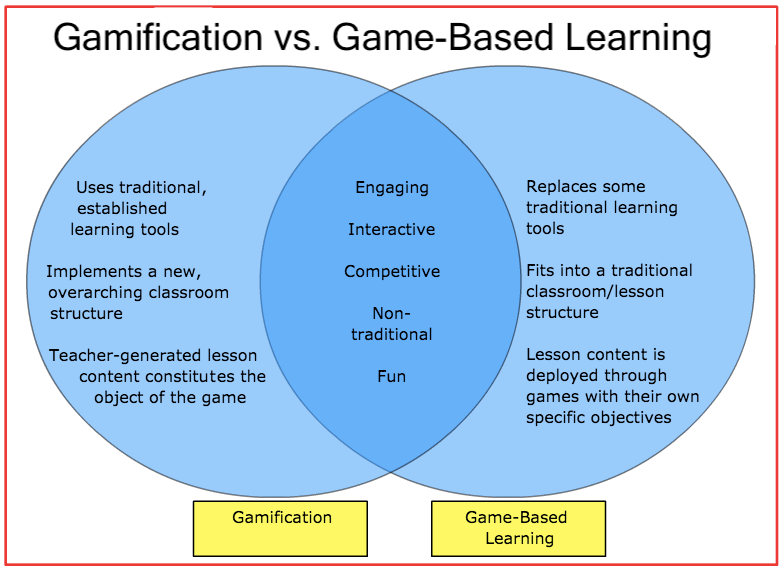 So if GBL and gamification share this core similarity, why is the distinction so important? Gamification alters significant structural aspects of the learning experience, breaking from the norms of lectures and worksheets. 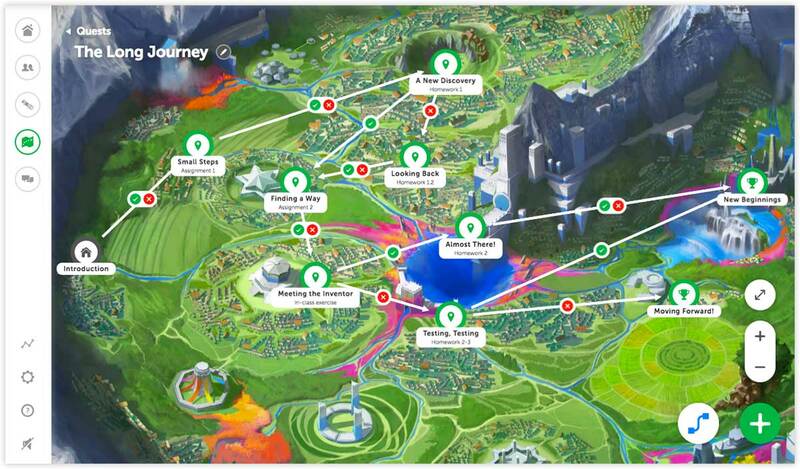 Teachers gamify their classrooms for a fresh new approach to a complex concept. GBL is a component that can be flexibly plugged into a traditional classroom, interchanged for other tasks like worksheets, without altering the way the classroom runs overall. Next time you talk tech in the teacher’s lounge, see if your colleagues know the difference. Let them know you’re not playing around! Can a Video Game Win a Nobel Prize?